Projeto de modernização em Angola: vamos lá! 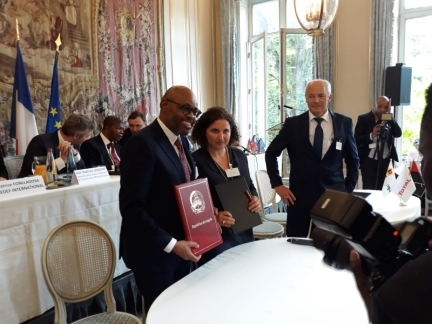 Monday, 28 May 2018 - During the official visit of President J. Lourenço to France, the Angolan Minister of Finance, Archer Mangueira, signed a funding agreement with Société Générale in the presence of Patrick Bénichou, CEO of MFI, paving the way for the launch of the first phase of an ambitious modernization project for INAMET, the Angolan National Meteteorological Service. * Strengthening of the country's meteorological infrastructure through the development of the national observation network (surface, airport and radar observation) and the deployment of a modern, integrated meteorological information system. * Initial and ongoing training of INAMET staff and, more generally, strengthening of the organization itself to ensure it offers its users a highly effective service, in line with the best international practices. * Implementation of a weather warning capacity and service, aimed at the general public as well as the country's main economic stakeholders in the sectors most vulnerable to climatic variations: oil industry, agriculture, health and aviation. MFI will provide INAMET with a turnkey solution including the full range of meteorological solutions, plus all the required support services that will enable INAMET to take full and immediate advantage of the new infrastructure deployed in the frame of the project. This modernization project is set to offer Angola a wide number of social-economic benefits. 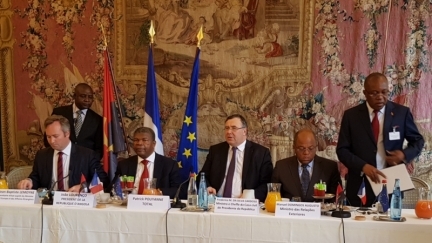 It also allows the country to play its role in the global shift towards enhanced awareness of climate change, and coming into line with the conclusions of COP21 and the Paris Agreement regarding the absolute need to strengthen national hydrometeorological services.